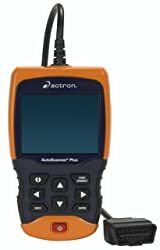 Home » Code Readers & Scan Tools » Actron CP9695 ABS Code Reader Review. 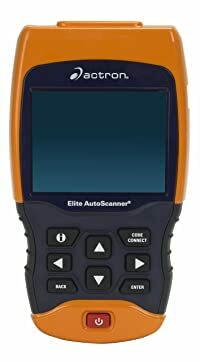 The hand-held reader can perform system diagnoses on ABS and SRS airbag coverage for most 1996-2013 GM, Ford, Chrysler, Honda, Nissan, Toyota and Hyundai vehicles. The complexity of modern cars, with their computer-controlled systems, marked the end of the shade-tree mechanic. Of course, the professionalism in the varied car systems became cheaper and easy to understand for the average joe. This idea is in a portable Actron CP9695 ABS Code Reader tool. The scanner lets you check your engine performance and even get to know if your car will pass a smog check. The product is known specifically because it’s a brand of Actron which is assuredly a leading name in the particular automotive technology. 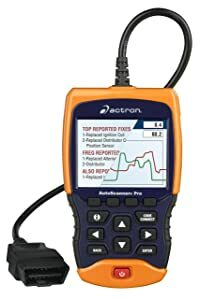 With the Actron CP9695 ABS code reader, it’s easy to troubleshoot and determine the most feasible solution for a particular issue. Its usage is based on aspects such as a motor, model and so on. This diagnostic scanner diagnostic scanner automatically recognizes all 1996 and newer import and domestic vehicles. In addition, ’94 and ’95 OBDII up to date vehicles are also compatible with this specialty tool. Actron CP9695 ABS code reader has a quality color LCD screen with a trilingual menu. The screen is enabled with superb features that enable graphical presentation of the real-time data from your engine. Moreover, the screen is standardized so that the user can read the codes without strain. The most recent software version is A63F. 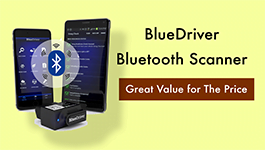 A great deal of OBDII scanners users does not know the software in their tool. No bother, below, attend a list of guidelines on how to determine your software version. -Continue to the system set up by pressing the ‘enter’ button. -Scroll to tool information option and press ‘enter’. -A SWID will be displayed which is the software version of your tool. Maintain records, graphs and can live stream and playback motor data. System setup menu which includes language preference, unit of measure, keyboard test, memory test, display test, tool information, and program mode. Convenient size. The user can operate with one hand. An extensive Code Connect source with over 26 million fixes that have been tested and approved. The scanner can operate when the engine is offline. Capability to view all OBDII global modes including mode 6. The scanner read data while the engine is running. The DTC can achieve 100% diagnosis of the particular check engine light. Provides an option to reset MIL and turn off the check engine light. The ability to examine engine compression and spark data. Fast and accurate diagnostic results. Territorial limitations for North America, Asia, and Europe. Some customer states that the tool has malicious software. -Conserve the correct time of client. -Incorporates CAN plus patented True Link Technology.-An essential component of an efficient restoration. -Easy to read LCD screen. -Simple to use, don't need to be a professional. -Had the opnion to use battery. -Fast and accurate diagnostic results. -Has an ergonomic desk design. -Very easy to read trilingual plus display menu. -Territorial limitations for North America, Asia and Europe. -A bit expensive for an average class customer. -Does not perform everything it states. Normally, the trouble codes may be complicated to novice car owners. At such moments, it’s indispensable to get more logic at OBD-codes.com. There are several OBDII scanners on the market, so it should be hard to find the right ones for your car. Nonetheless, Actron CP9695 is the best choice for people with almost-to-none experience in mechanics and cars repair. All of the important information can be obtained for free. Actron CP9695 ABS Code Reader definitely indicates how well your car will be running at a cheap price. Meanwhile, the scanner is not a driving monitor. It’s solely focused on tracking trouble. The iCarsoft POR II Porsche OBD-II scanner is an OBD-II system designed for Porsches. It could inform and eliminate some annoying functions with your car. Determining the causes of the warning light is why the Fixd car health monitor was developed. Let’s check out how good it is and if it’s worth it.